Provide actuarial support to Marine Cargo/Liability, Excess Casualty and Terrorism lines of business. Manage and implement the development of the Specialty pricing models. 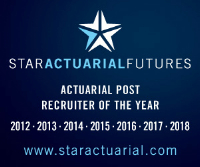 Candidates will be Nearly Qualified Actuaries with strong pricing backgrounds. Ideally you will have experience in pricing Marine lines of business however all specialty experience will be considered.